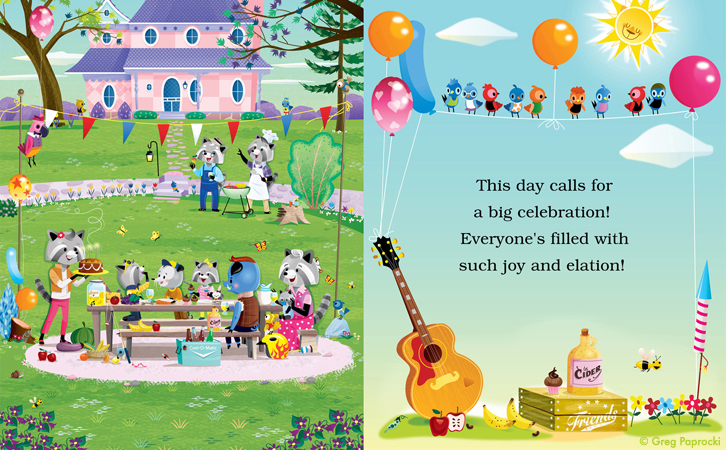 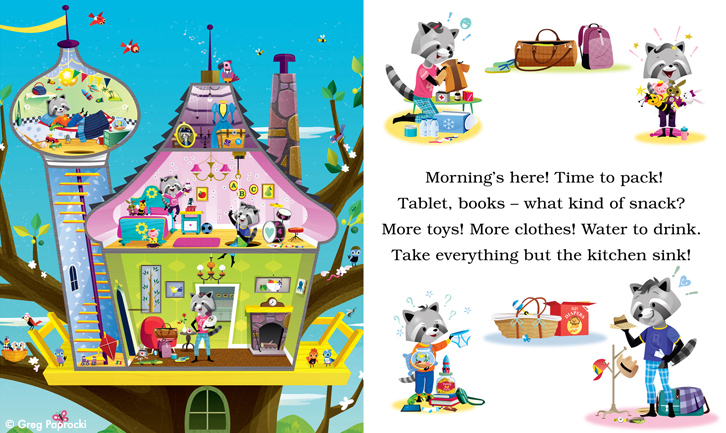 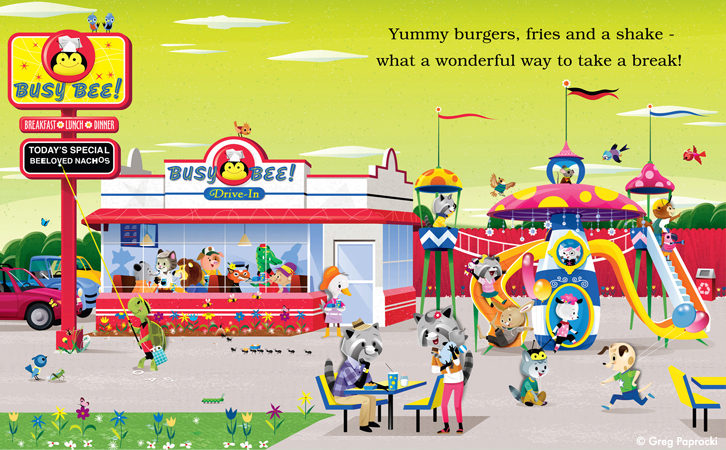 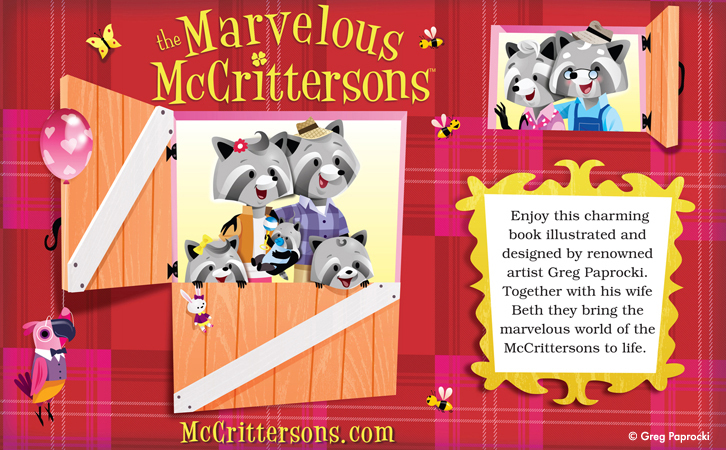 Welcome to the world of the McCrittersons as we follow this family of raccoons as they have everyday adventures in technicolor. 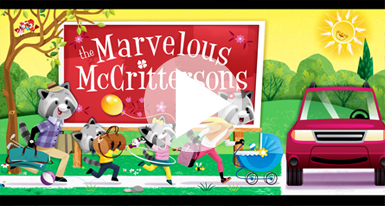 Greg teamed up with Dewey Automation to create a short animation introducing the vibrant world of The McCritterson family. 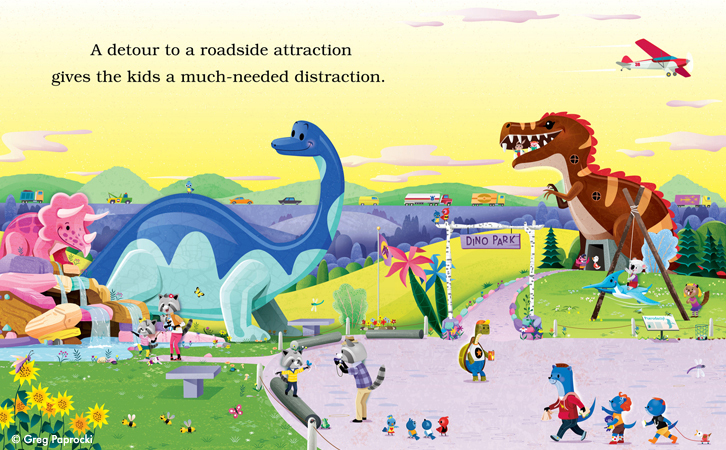 The great tradition of road tripping springs off the pages of this beautifully illustrated 32-page book. 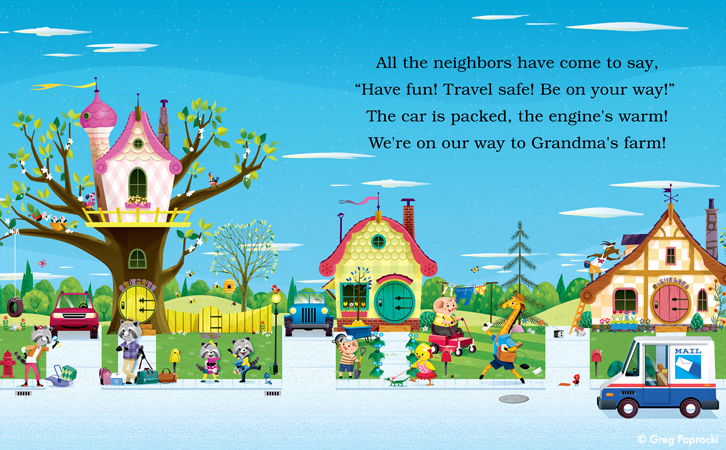 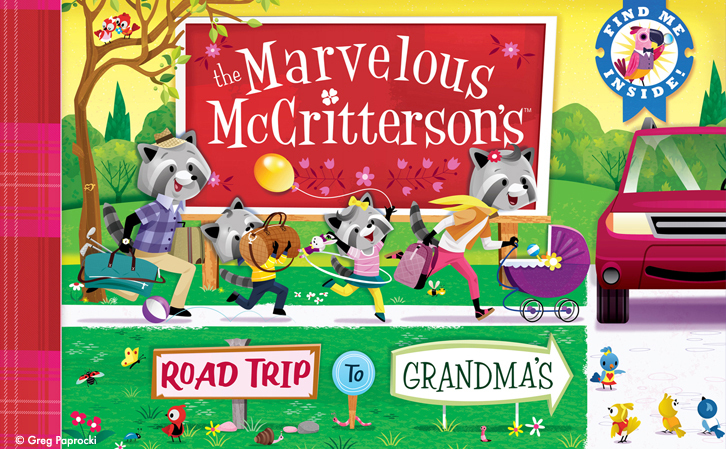 Follow the McCrittersons from the frenzied rush out the door, past truck stops and tourist attractions and down country roads until they reach the loving arms of grandma and grandpa. 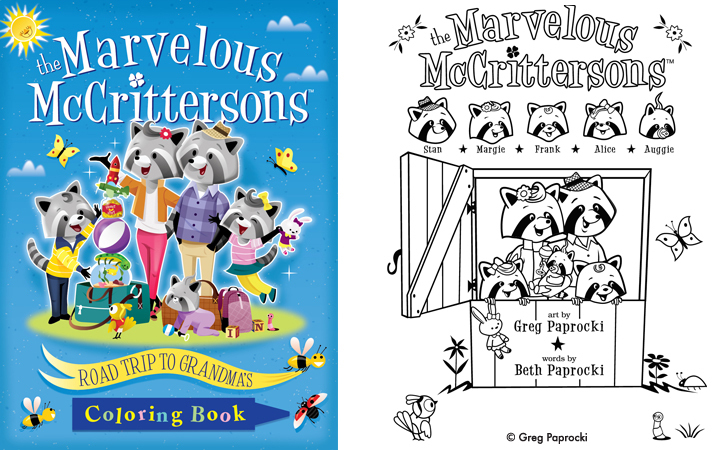 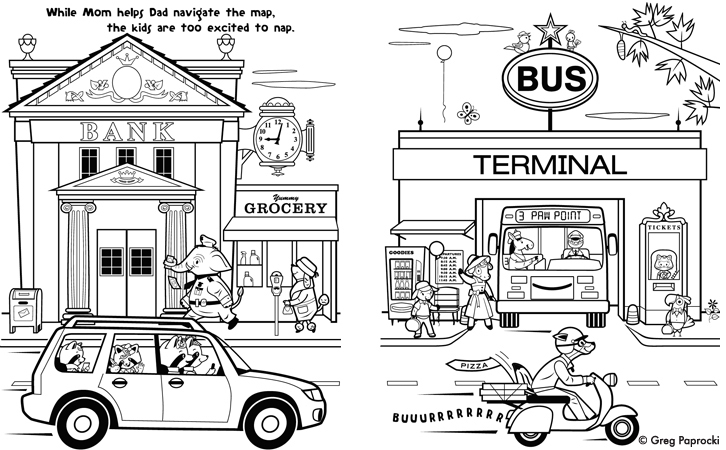 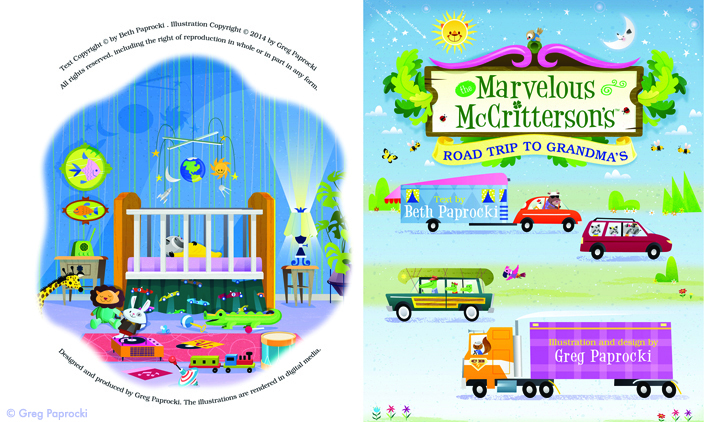 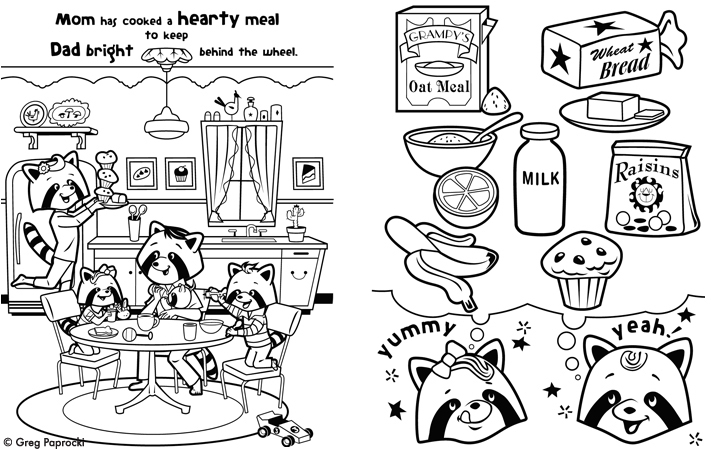 A delightful companion piece for â€œThe Marvelous McCrittersonsâ€™ Road Trip to Grandmaâ€™s,â€ this coloring book, distributed by Dover Publications, allows kids to paint the world of the McCritterson family.